Get rid of Bayer company first, then put the rest of these companies to rest. R.I.P. Bayer. - Three meta-analyses of comparative scientific studies on nutrient contents in plant-foods, dairies and meats have shown that organic foods generally contain more antioxidants et beneficial fatty acids (Baransky et al, Br J Nutr 2014; Średnicka-Tober et al, Br J Nutr 2016 and 2016). Barański M, Średnicka-Tober D, Volakakis N, Seal C, Sanderson R, Stewart GB et al. Higher antioxidant and lower cadmium concentrations and lower incidence of pesticide residues in organically grown crops: a systematic literature review and meta-analyses. Br J Nutr 2014; : 1–18. Srednicka-Tober D, Baranski M, Seal CJ, Sanderson R, Benbrook C, Steinshamn H, et al. Higher PUFA and n-3 PUFA, conjugated linoleic acid, alpha-tocopherol and iron, but lower iodine and selenium concentrations in organic milk: a systematic literature review and meta- and redundancy analyses. Br J Nutr. 2016;115(6):1043‑60. Srednicka-Tober D, Baranski M, Seal C, Sanderson R, Benbrook C, Steinshamn H, et al. Composition differences between organic and conventional meat: a systematic literature review and meta-analysis. Br J Nutr. 2016;115(6):994‑1011. Kesse-Guyot E, Baudry J, Assmann KE, Galan P, Hercberg S, Lairon D. Prospective association between consumption frequency of organic food and body weight change, risk of overweight or obesity: results from the NutriNet-Santé Study. Br J Nutr. 2017;117(2):325‑34. Seconda L, Péneau S, Bénard M, Allès B, Hercberg S, Galan P, Lairon D, Baudry J, Kesse-Guyot E. Is organic food consumption associated with life satisfaction? 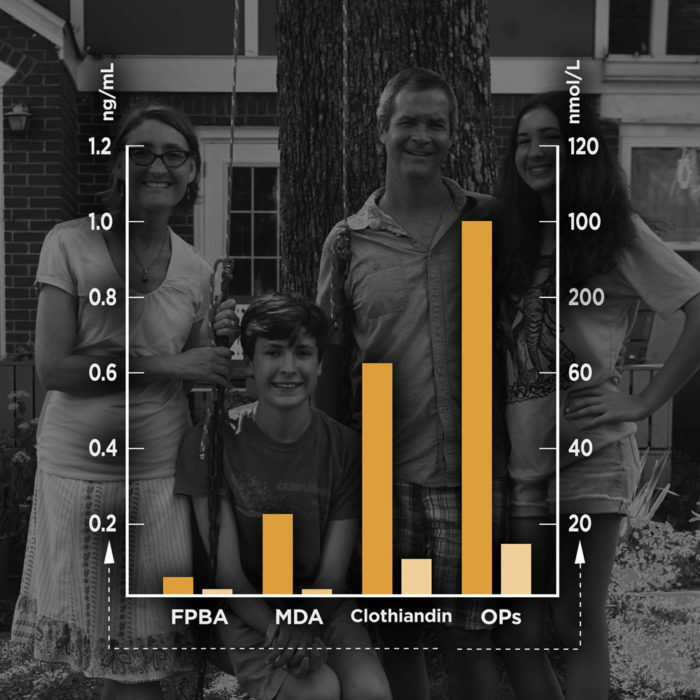 A cross-sectional analysis from the NutriNet-Santé study. Prev Med Rep. 2017 Oct 31;8:190-196. doi: 10.1016/j.pmedr.2017.10.014. eCollection 2017 Dec.
Kesse-Guyot E, Péneau S, Méjean C, Szabo de Edelenyi F, Galan P, Hercberg S, et al. Profiles of organic food consumers in a large sample of French adults: results from the Nutrinet-Santé cohort study. PloS One. 2013;8(10):e76998. Eisinger-Watzl M, Wittig F, Heuer T, Hoffmann I. Customers Purchasing Organic Food - Do They Live Healthier? Results of the German National Nutrition Survey II. Eur J Nutr Food Saf. 2015;5(1):59‑71. Baudry J, Méjean C, Allès B, Péneau S, Touvier M, Hercberg S et al. Contribution of Organic Food to the Diet in a Large Sample of French Adults (the NutriNet-Santé Cohort Study). Nutrients 2015; 7: 8615–8632. Dietary intakes and diet quality according to levels of organic food consumption by French adults: cross-sectional findings from the NutriNet-Santé Cohort Study. Baudry J, Allès B, Péneau S, Touvier M, Méjean C, Hercberg S, Galan P, Lairon D, Kesse-Guyot E.
Public Health Nutr. 2017 Mar;20(4):638-648. doi: 10.1017/S1368980016002718. Epub 2016 Oct 12. Assessment of the Sustainability of the Mediterranean Diet Combined with Organic Food Consumption: An Individual Behaviour Approach. Seconda L, Baudry J, Allès B, Hamza O, Boizot-Szantai C, Soler LG, Galan P, Hercberg S, Lairon D, Kesse-Guyot E.
Nutrients. 2017 Jan 12;9(1). pii: E61. doi: 10.3390/nu9010061. Food Choice Motives When Purchasing in Organic and Conventional Consumer Clusters: Focus on Sustainable Concerns (The NutriNet-Santé Cohort Study). Baudry J, Péneau S, Allès B, Touvier M, Hercberg S, Galan P, Amiot MJ, Lairon D, Méjean C, Kesse-Guyot E. Nutrients. 2017 Jan 24;9(2). pii: E88. doi: 10.3390/nu9020088. Association between time perspective and organic food consumption in a large sample of adults. Bénard M, Baudry J, Méjean C, Lairon D, Giudici KV, Etilé F, Reach G, Hercberg S, Kesse-Guyot E, Péneau S.
Nutr J. 2018 Jan 5;17(1):1. doi: 10.1186/s12937-017-0311-0. Baudry J, Allès B, Péneau S, Touvier M, Méjean C, Hercberg S et al. Dietary intakes and diet quality according to levels of organic food consumption by French adults: cross-sectional findings from the NutriNet-Santé Cohort Study. Public Health Nutr 2016; : 1–11. I would like to know where these analyses were carried out and if they can process samples from the UK. I would like to encourage the launch of a similar study here. Are you kidding me. The first sentence of article should read. A new study has found that if you stop putting pesticides into your mouth, you will have lower amounts of pesticides in your body. Come on people. Do they have to come out with studies for you to see this logic? Those of us who eat organic just look at these articles and wonder how much of stupid must exist before the clue-light comes on. For those of you who still need convincing let me just say. Go home, curl up in a ball and kiss your sorry butts good bye because you're too stupid to procreate. 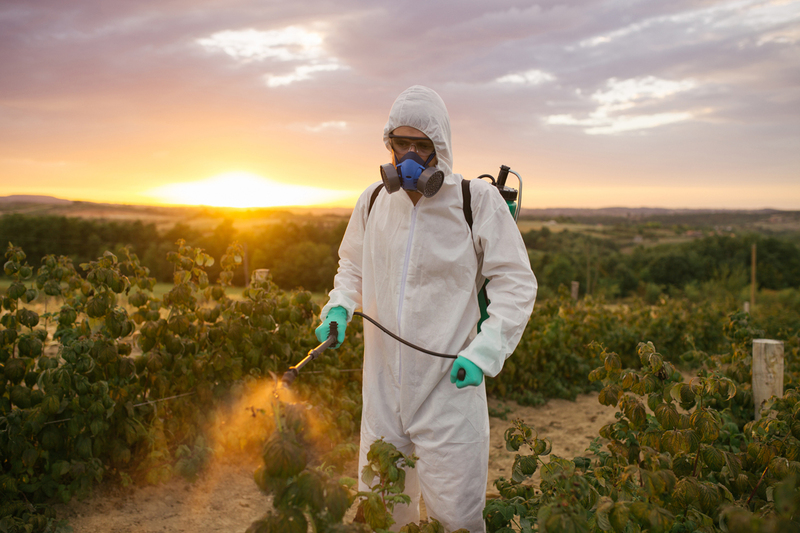 The dangers of pesticides are multi-faceted. Not only do these man-made chemicals invade the body and disrupt normal biophysical processes, they kill off normal gut flora. Listen to me...the health of your body is directly related to the health of your gut. If this is new to you, consider yourself more highly educated than 90% of the American public. A new study you write. Please can you be more transparent and add the source? I for one would love to know it and get the article. Can you do that?